Find out what makes us different from other financial advisors and why you should choose us to partner with to manage your investments and guide you through retirement. Learn what services we can provide and how we charge for our services. We are Octagon Wealth Management, and our focus is helping our clients envision their future and accumulate, preserve, and transfer their wealth. 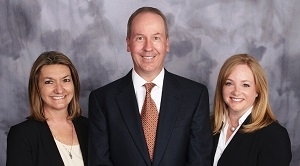 Our team believes in comprehensive wealth management and works closely with clients and their trusted advisors to ensure all aspects of their financial situation are considered and addressed. Working as an independent advisor allows us the freedom to choose the products and services that are right for each client without any restrictions or incentives. We're always ready and available to guide and support our clients throughout life's transitions managing your investments and financial affairs as a trusted partner.